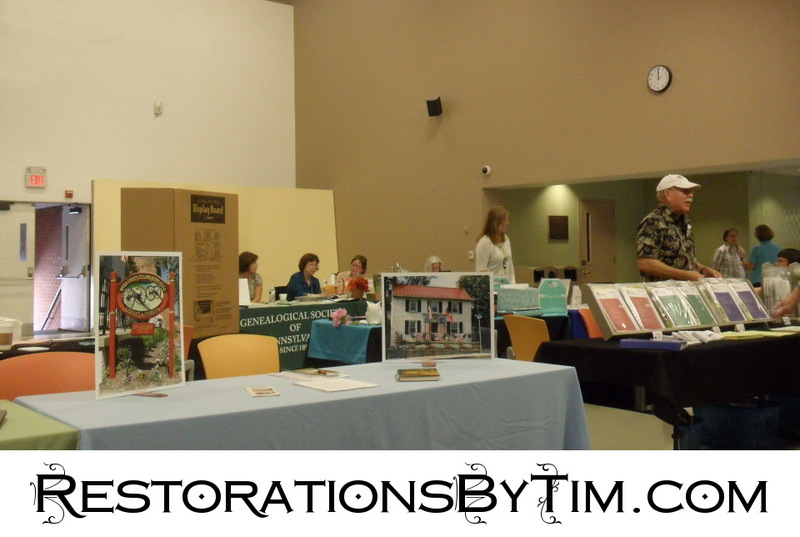 Another Splendid Event: The 9th Annual Bucks County Ancestry Fair | Photo Restorations by Tim G.
Attending the 9th Annual Bucks County Ancestry Fair last week was a joy. No surprise there, as last year’s fair was similarly enjoyable. This year’s fair, however, drew a larger crowd at a larger venue: Bucks County Community College, in Newtown. Many thanks to Jeff Sipler, Chris Roberts, and the rest of the crew at the Bucks County Genealogical Society for putting on the event. These photos don’t quite do justice to the event because I took them just as one of the lectors began to speak, likely Archivist and Photographer Gary Saretzky, who spoke on the history of photography, and the care and maintenance of original old photographs. The Catch 22 of this event is that I don’t get to see hear the lectors, being alone at my table. Maye next time I’ll bring a friend. Who’s with me? In lieu of getting to hear the lectors, what makes events like these so fun and memorable are my excellent tablemates. This year my excellent tablemates were Judith McDowell of Piper Legacy Press, and the good researchers at Ace Genealogy Research. A special shout-outs go to my good friend David, my good friend Herb, who tabled with the Genealogical Society of Pennsylvania, the ever-helpful crew at the National Archives, Philadelphia, and the ever-cheerful young ladies at the Bucks County Genealogy Club. You all made my day! 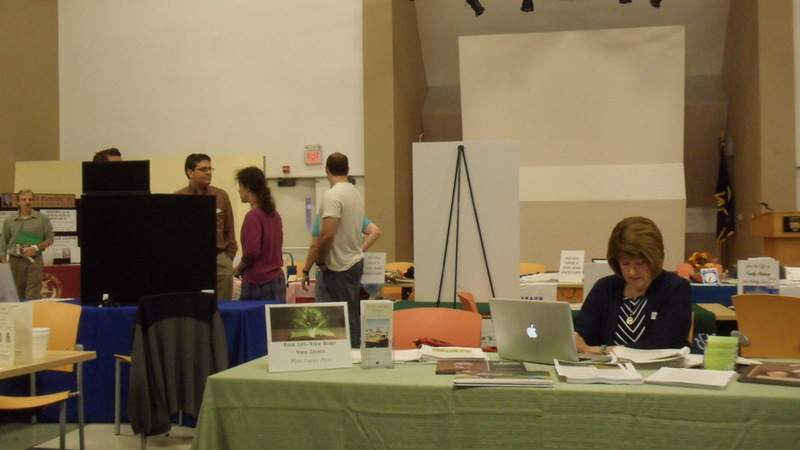 Judith at the Piper Legacy Press table, displaying her company’s genealogical storytelling and book publishing services. Representatives of the National Archives at Philadelphia greet the public in the background.